Your pet is a unique individual and as a conscientious pet owner you want to provide the best nutrition for your pet throughout his life. 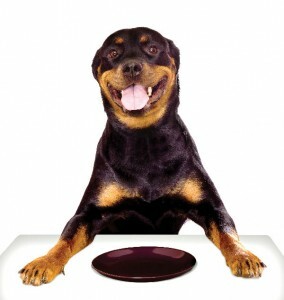 For most healthy pets there are many food choices available to meet the basic nutritional needs. Many factors are involved in choosing a food including economics, your pet’s preference, your personal philosophies about food, and any health issues you may be addressing via nutrition. There are over 40 essential nutrients necessary in the diet of dogs and cats. These nutrients must be formulated into a diet in the correct amount, appropriate proportion, and cannot be deficient or added in excess. For this reason, it is best to choose a company with a veterinary nutritionist on staff developing the recipes used to make all of the company’s diets. If you are unsure if the company meets this standard, please call the company and ask them directly. A good pet food company should welcome the inquiry and be proud of the product they produce. You can also visit the American College of Veterinary Nutrition (www.acvn.org) to learn more about what it takes to become a certified veterinary nutritionist. Another way to evaluate the food you are feeding your pet is to use the guidelines provided by the Association of American Feed Control Officials (AAFCO). AAFCO is a voluntary organization of regulatory officials who have the responsibility for developing the recommendations for state laws and regulations concerning the safety of animal foods. AAFCO has no means of enforcement and does not perform analytical testing of foods. The nutrient profiles published by AAFCO list the minimum and maximum levels of intake for protein, fat, vitamin, and mineral content of foods. Pet foods labeled as “complete and balanced” must meet standards established by AAFCO through matching an established nutrient profile and/or passing a feeding trial. This system is not perfect but it is a good starting point to help you evaluate if the food you are feeding your pet meets the basic needs for nutrition. There are many marketing claims and misinformation from people claiming to be experts on the Internet and this can make it hard to decipher what is true and what can harm your pet. The World Small Animal Veterinary Association (WSAVA) has published an article to help you wade through all of the information available on the Internet. Please visit: (http://www.wsava.org/sites/default/files/Nutrition%20on%20the%20Internet%20dogs.pdf) to read this article. Another valuable resource to help you determine what is best to feed your pet, how much to feed your pet, and how to decipher pet food labels is the Pet Nutrition Alliance (www.petnutritionalliance.org). This article was meant to provide a very brief and basic review of some simple steps to help you pick a food to feed your pet. If you have specific questions about nutritional recommendations for your pet, please schedule an appointment with one the veterinarians at Wheat Ridge Animal Hospital to discuss these questions and/or concerns. Your veterinarian is the best source of information about the appropriate diet for your pet.